Pollution. Crime. Natural disasters. War. Addiction. Terrorism. Political unrest. Despite the dire headlines we read every day, there are COUNTLESS reasons to celebrate life and everything that fills it. 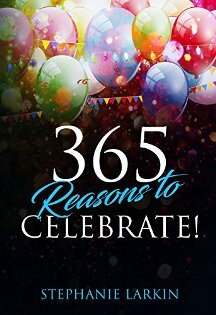 This book offers a listing of special days and festivities for every day of the calendar year - avoiding the well-known and beloved, like Christmas and the Fourth of July, and instead featuring the unusual and frivolous, such as No Socks Day, Grammar Day and the Festival of Sleep. Many of these celebrations can easily be used by businesses as marketing tools, by teachers as outlets for creativity and addenda to curriculum, by office managers as team and morale building exercises - or by anyone just looking for an excuse to have some fun! A hashtag # for each holiday is included so that you can tag your social media posts and pictures to be found alongside others celebrating the day. "Having submitted my legal crime trilogy to the site I was delighted and surprised to receive an email one day that the first part in the series, A Model Murder, had been featured as Talent in the Spotlight. Thank you humanmade.net for your great support for authors."